Much has changed since Blockchain entered the scene. Cryptocurrencies were born, and the concept of getting rich had a facelift. 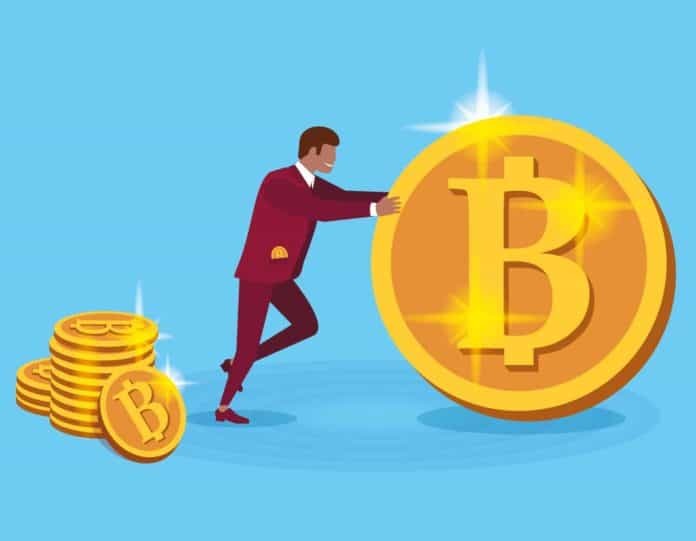 More recently, many individuals have cryptocurrency to thank for their newfound riches, rather than a real-estate empire. Yes, stock markets are still a good investment, but with the help of Blockchain technology, something new has come to the investing game, and that’s Bitcoin. It was worth almost nothing when it was created, but is now worth $8,200 per Bitcoin at the time of writing. No one saw it coming — except for a few. Now, these people have become the elites, thanks to Bitcoin and other cryptocurrencies’ unexpected rise in value. Chris Larsen sits atop Forbes’ richest people in the world of cryptocurrency. Co-founding Ripple paid off, as he now has a total crypto net worth of around $7.5 billion to $8 billion. He is a Stanford M.B.A. and a veteran operator in the Silicon Valley. Most of his crypto riches come from Ripple, a company he shares with co-founder Jed McCaleb. Ripple is reported to control 60% of the total supply of XRP in the world. That’s 61 billion out of the existing 100 billion XRP! Forbes calculated Larsen’s crypto wealth by adding his personal XRP with his 17% stock shares. For some of you that don’t know, Ripple’s XRP token is currently valued at a whopping $410 million. Joseph Lubin, a former robotics software engineer, made himself one of the wealthiest (at least in the crypto world). With a crypto net worth of $1 billion to $5 billion. A co-founder of Ethereum, after realizing crypto’s full potential, he founded ConsenSys, a behemoth venture studio company that aims to improve the Ethereum ecosystem further. Most crypto analysts believe that he holds the highest amount of Ethereum in the world, after being rumored to have $10 billion-worth of cryptocurrency. Interestingly, he denies such claims. The Chinese are known to be the pioneers of trade for millennia. But now that technology has taken over; it seems like nothing has changed for them. They’re still pretty good at it! One such example is Changpeng “CZ” Zhao, who’s the third-richest crypto billionaire with a crypto net worth valuation of $1.1 billion to $2 billion. What catapulted him to crypto wealth was a venture capitalist that he regularly played poker with. He eventually bought into the whole idea of Bitcoin, and in the process, sold his Shanghai home to go all-in on it. Fortunately, that gamble paid off as he now owns the biggest crypto-exchange company in the world, Binance. It caters to 1.4 million transactions per second and currently has 6 million active users. They also support more than 120 cryptocurrencies, together with 240 trading partners and over 100 wallets. Then there are the infamous Winklevoss twins, who are best known to have received $65 million after winning the lawsuit against Facebook’s supposed stolen social networking idea. Some considered it as their lucky charm because great things happened since then. One of which is their luck, or perhaps foresight, with Bitcoin. The former Olympic rowers held onto their Bitcoin since 2013, despite experiencing the cryptocurrency’s “Great Depression,” where its value went down by 80%. But that didn’t taint their belief that it’d make them crypto billionaires someday. Fortunately, that’s just what happened as each of them now has a crypto net worth of $900 million to $1.1 billion. Their lucrative cryptocurrency exchange company, Gemini, also has contributed a lot to their crypto success. Gemini currently handles $300 million worth of transactions each day. Experts predict that the value of Gemini will increase in the long run, and can even exceed the twin’s crypto holdings. Former Republican Party Finance Committee Chairman Matthew Mellon’s road to the 5th spot of Forbe’s richest crypto holders is a story of redemption. Mellon struggled with drug addiction and thought all hope was gone until he stumbled on XRP. He eventually became obsessed with it, and even made his family think that he’s into drugs again. Luckily, that obsession bore fruit as he’s current crypto net worth is around $900 million to $1 billion. He now lives a lavish lifestyle renting a luxurious Los Angeles home for $150,000-a-month. What do you think about Forbes’ richest crypto billionaires? Do you think their wealth will last, knowing how volatile cryptocurrencies are? Sound off in the comments below! Previous articleReview: TheKey Botched Its ICO; Can This Identity Verification System Recover?